Please take your time in completing this form, poorly answered questions may negatively impact your chances of success. Please type your answers directly in the box. Do not copy and paste. Each answer has a character limit. Do not exceed the limit as it will result in part of your answer being deleted. If you selected NGO, Trust or Section 21 company above, please provide the legal/registered name of the entity. 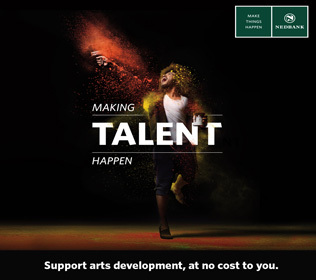 Mid-level or emerging organisations range from newly formed to established organisations working with budgets of less than R50 000. Mid-level and emerging artists must have been working professionally for at least one year. Established organisations must have been in operation for more than three years and have a proven track record or successful projects with budgets exceeding R50 000. Established artists must have been working professionally for five years or more. You can provide links to websites and/or newspaper articles in which you or your organisation are mentioned. Provide links to websites and/or newspaper articles in which your project was mentioned. Keep your answers concise and to the point. If the ACT grant will cover the whole project answer "total". List all confirmed sponsors, donors and/or partners, the amounts they have pledged and their contact details. Attach all supporting documents as PDF. See the ACT resources ( http://www.act.org.za/resources/resources-1.html) page for assistance in creating an activity plan and a budget. Please note that further documentation will be requested should your project be shortlisted. This should give us a clear idea of what you are planning to do when. Clearly indicate which line items the grant from ACT will be used for. I confirm that all the information provided in this application is true and accurate to the best of my knowledge. I understand that any misrepresentation of such information is a serious offence that will lead to the disqualification of this application and may result in prosecution. I acknowledge and accept that if I represent an organisation, company or Trust and this application is successful, I will be required to submit valid registration documents together with a tax clearance certificate. I acknowledge and accept that the allocation of grants is at the discretion of the Board of Trustees of ACT and that the decision with regard to all applications for funding is final and that no further correspondence will be entered into.